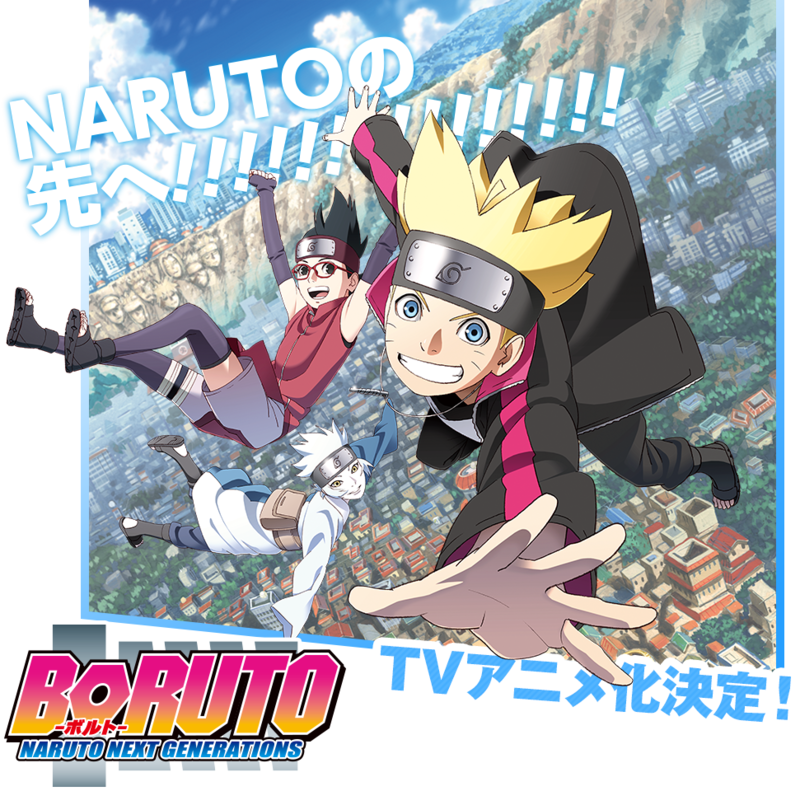 TV Tokyo revealed some key visuals, cast and a promotional video for the upcoming Boruto anime series, it will be titled “Boruto: Naruto Next Generations” which shall premier April 2017! Crunchyroll tweeted a promotional video which includes English subtitles. The main visual for the anime can be seen below, with all three of the main characters. Boruto, Sarada and Mitsuki. With that mentioned, the next generation of Naruto, with Boruto and his team continues on. On top of this, I hope to see an upgrade in the animation and style for the next generation of this new anime. So what do you think? Go ahead and comment down below telling us what you think. Same here, I actually want to see the next generation, a little less of Naruto this time would be nice. Indeed, I just hope I don’t get stupid side of Naruto in this new series. Especially the countless fillers.